The single largest contributor to global warming is pollution from energy generation. Reversing global warming means a transition to renewable energy. Everyone agrees that renewable energy could clean the air, stave off global warming, and help eliminate our nation's dependence on fossil fuels from overseas. Our specialty is Consultation, Design and Installation of Reliable Energy Systems. 760 403-6810 and ask for a FREE Energy Analysis of your propery. 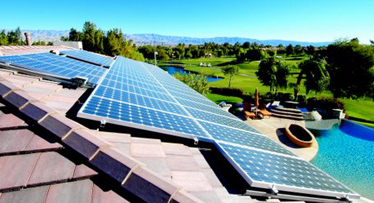 Solar Electrical Energy Systems provides custom solutions specifically made for commercial or residential application. SEE Systems can provide an onsite Energy Audits, including, but not limited to lighting retrofits, air conditioning, window efficiency, insulation, co-generation and Emergency Backup. SEE Systems is the right choice for your commercial or residential solar power system needs! 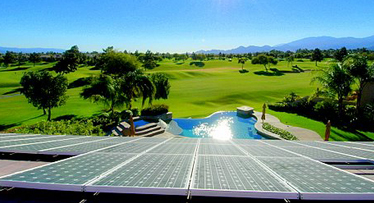 SEE Systems is a solar power company has extensive experience in residential, commercial and municipal installations. We specialize in cost effective utility grade distributed generation for residential applications, commercial buildings and industrial facilities. When we design a custom commercial Solar Electric Energy System for your business or home, you can be assured that we will complete the installation process in a timely and professional manner, with your specific needs in mind. We maintain worker’s compensation and liability insurance, to give you the confidence in knowing that your assets are protected during the installation process. In addition to the highest quality installation, we provide for our customers, we also process all the required paperwork and documentation for your solar electric system. SEE Systems provides a multitude of Commercial Solar Solutions specifically tailored for commercial application, including stainless steel hardware used in each installation to assure long life performance. We retain civil, structural and electrical engineering partners as needed for each project to guarantee your system installation is designed to the highest standards, in compliance with state and local building codes. As a valued business owner or homeowner looking to decrease overhead costs and help protect the environment, it would be our pleasure to provide you with a custom solar power installation for your home or business allowing you to Be Your Own Power Company. 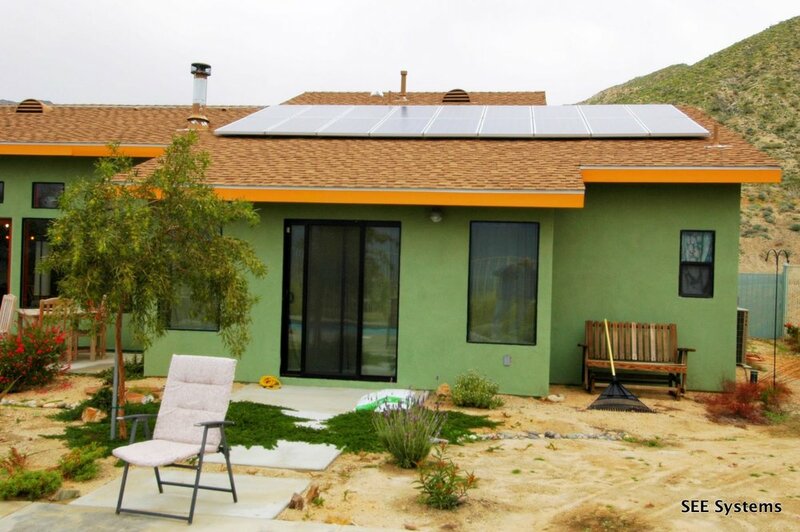 Call SEE Systems at 760-403-6810 and ask for a FREE Energy Analysis of your propery. Our mission is to design and install Efficient, Sustainable, Renewable Energy Systems Which Will Reduce Dependence Upon Public Utilities And Provide a Constant, Reliable Source of Clean Electrical Power To Meet the Needs of Homes and Businesses. providingSystem Design, Implementation, Certification, Performance Monitoring, Maintenance, and Financing for Renewable Energy Systems. Our strength lies in the fact that we have been providing cutting-edge solutions for over 25 years in the energy industry. We provide systems customized for each client, based on our extensive knowledge, experience, and ability to execute on projects of all sizes. Today’s Solar Economics—Your System Pays for Itself the Day its Installed! Today, with Government incentives, the cost of Solar has come down to around $.12/kWh and even less in some cases, a 98% drop in the last 25 years! What this means for you is that you’ll be guaranteeing yourself an electrical rate of $.12/kWh or less for the next 30 years, over which time we all know electrical rates from the utilities will be sharply increasing. What do these lower prices and governmental incentives mean for the average homeowner? We are frequently seeing 15% annual returns on investments (ROI) – far better than the stock market, bond market, money markets, and long-term CDs. According to the National Appraisal Institute (Appraisal Journal – Oct. 1999), your home’s value increases $20 for every $1 of energy reduction in annual utility bills. This means a system installed that saves you 3000 dollars in annual utility bills adds 60,000 dollars worth of value to your home. Many states have enacted rebate positions on the systems that are installed in their states, these rebates vary from state to state, and many have supplemental state tax credits. In California a recent 30% federal tax credit with a residential cap of $2,000 was put in place and for commercial projects there is no business tax cap and the “MACRS” five-year accelerated depreciation schedule is also applicable. For businesses, we have often seen paybacks as low as three years and internal rates of return in excess of 25%. Net metering laws (38 states have them now) mandate that your utility company cannot charge you more for your electricity than they pay you for the solar power you generate. The physics of solar power are such that it is the perfect energy source - it puts the most power out in mid-afternoon, which is exactly when utilities have the greatest demand due to summer air conditioning. In order to decrease its summer mid-afternoon power load, the utilities have instituted "Time of Use" metering, to encourage homeowners to conserve in the afternoon. This is great news for solar system owners! "Time of Use" is an excellent choice for PV systems that meet a minimum of 40% of your electrical needs. This means you can sell your solar power to the utility between noon and 6pm for as much as $0.29/kWh, and then you can buy that same power back at a rate as low as $0.09/kWh. This gives you huge financial benefit in the long run and also reduces the initial size of your solar system, and consequently your ultimate payback time. New Laws prohibit county property tax authorities (tax assessors) from increasing your tax assessment from value increases due to your installation of a solar system. This is great news for your cash flow, as you’ll be saving hundreds or even thousands of dollars every year from your new solar system, increasing your property’s resale value by $17,520 due to your utility bill savings, and not adding even one penny in property tax! According to many financial experts, financing your solar electric system, even when you can pay for it, is one of the best investments you can make. There are now in the market place financial industry leaders who can and will be happy to finance your system for you. With the right off available when financing it sometimes makes more sense (better ROI) to borrow the money. or 760- 403-6810 and ask for a FREE Energy Analysis of your propery. 1. Should I go solar? There are many reasons to install solar for your home or business. Solar will help reduce or eliminate your current electric bill, provide energy independence, and help to save the environment. With the current rebates and tax credits available to the consumer, installing solar today makes more sense than ever. SEE Systems is a licensed electrical contractor. Our experience in the power industry goes back 25 years; even our direct competitors have hired us to install and oversee their projects. Our reputation and completed projects speak for themselves. 3. How does a photovoltaic system work? Solar modules are installed in any area with good southern exposure to the sun. Sunlight hits the solar modules, creating DC power. This DC power is feed into an inverter, which converts it to Alternating Current, the kind you need to power your home or business. This power is feed directly through the main service panel. At any given time, if the solar is producing more electricity than the home or business requires, the excess power will run backwards through you meter, causing it to spin backwards, and be fed into the electrical utility company grid giving you credit! Net Metering is an agreement between the homeowner and your local Utility Company that allows you to spin the meter backwards. The Net Metering Agreement is good for one 12 month period at a time. You can be a net producer or net consumer during each period. At the end of each 12 month period, if your solar electric energy system has produced more power than you consumed, you have no electric bill. If the system did not produce enough power, you will need to pay the difference. It is important to remember that if your system overproduces, the local Utility Company will not pay you cash for the extra production. You simply lose it at the end of the yearly cycle and start at zero again for the next year. 5. What size system do I need? When you install solar in any capacity for your home of business, you enter into a Net Metering Agreement with you local Utility Company. You will be put on an annual billing cycle, rather than month to month. Since this is done on an annual basis, you will need to acquire a 12 month history of your power usage in order to determine your average use in kWh/day over the course of one year. You then take this number and divide it by the number of peak insolation (sunshine hours that you are expected to get at your particular location), and factor in any efficiency losses for shading, orientation, or pitch. For Example: If your usage is 40kWh/day and you get 5 hours of peak sunshine, you divide 40/5 = 8 kW system (AC Rated). Let Solar Electric Energy Systems help you determine the system size that would eliminate you electric bill. 6. Does my system need batteries? With Net Metering you do not need any batteries. Most of today's systems are grid-tied, which means that they are connected directly to the local Utility power lines. You would only need batteries for stand alone applications or if you wanted emergency power if there was a power outage. If emergency backup power is a concern, SEE Systems would also recommend that you examine the advantages of a battery backup system. 7. Are there any rebates or tax credits to offset the cost? The California Energy Commission (CEC) is currently offering a rebate of $.35/watt on all residential grid-tied solar electric systems under 30 kW in total size. This rebate level is dependant upon the amount of funding that is used, changing at predetermined levels. For residential grid-tied systems, there is also a 30% Federal Tax Credit on the portion of the solar that you pay for after all rebates. This tax credit can be used for any residential system installed after 2006. 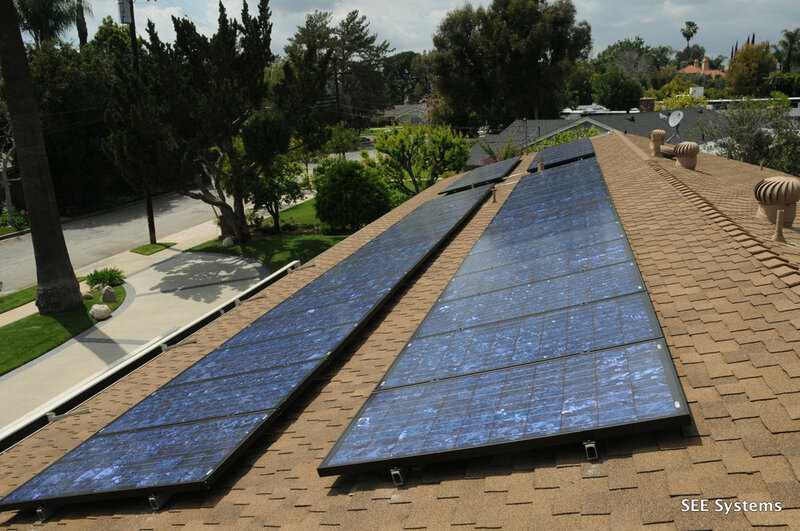 If you do not qualify for the CEC rebate because you do not have utilities provided by San Diego Gas and Electric, Southern California Edison, Bear Valley Electric, or Pacific Gas and Electric, your local utility will most likely have their own solar program and the rebate amounts will vary. The Public Utilities Commission (PUC) is in step 8 for rebates which means a rebate of $.044/watt per Kilowatt hour for a PBI, or Production Based Incentive, on all commercial grid-tied solar electric systems over 30 kW in total size. Commercial systems under 30 kW in size will be handled by the CEC, but will still qualify for all the commercial rebates and credits. All commercial systems will qualify for a 30% Federal Tax Credit (with no limit) and a 5.5 year Accelerated Depreciation schedule. 8. How much does solar cost? Depending on your location and the type of installation that you are looking for, the price will vary. Contact us for a free cost analysis to determine your requirements. 9. What is the typical payback period? Each system will have a different payback period. Typically smaller systems can have a payback period between 10 and15 years and larger systems can see payback in as little as 2.5 years. Commercial systems usually have a much shorter payback period due to the additional tax credits available. Besides the economic payback, the system will also have an environmental payback. Along with each proposal, we will send you an environmental impact summary that shows you how your system is helping to save the environment. 10. Is there any system maintenance required? Since there are no moving parts, the system is basically maintenance free. If it does not rain in your area that often, you may only need to wash the modules to remove dust and debris every now and then. 11. What are the warranties and life expectancy of solar? Most of the main solar panel manufacturers offer a 25 year module warranty. 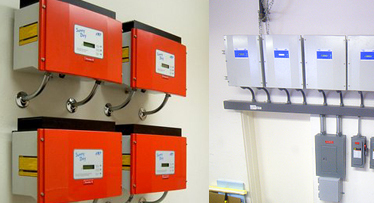 Most of the inverter manufacturers offer a 5 year warranty with the option of up to 10 years at an additional cost. SEE Systems offers a five year warranty on the entire installation. The system will have an expected life span of approximately 30 to 40 years. 12. What type of roof do I need? 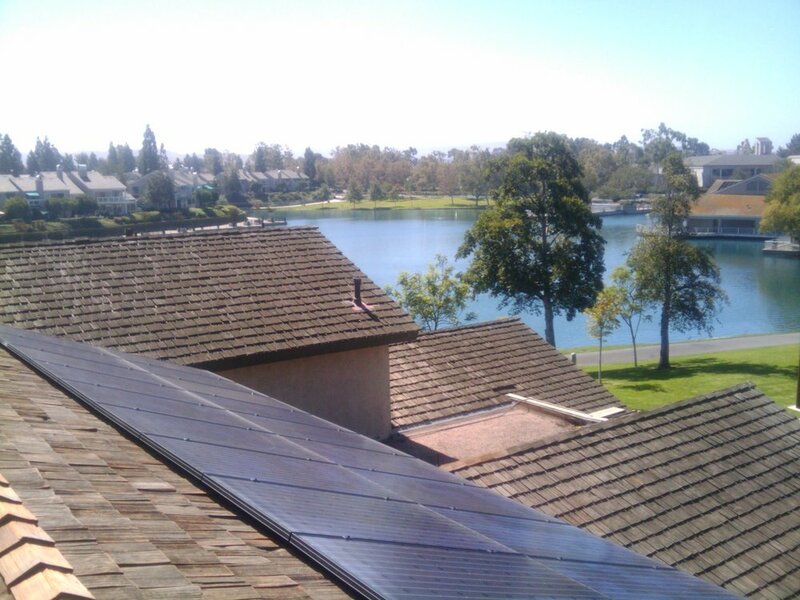 Most solar installations are installed on the roof of the home or business. SEE Systems can do an installation on any type of roofing: composite shingle, wood shake, flat tile, Spanish tile, or ceramic tile. If you do not want the solar installed on the roof, you can also utilize a ground mount. Most homeowners who have a lot of available unshaded acreage choose this type of installation. Besides the roof and ground, you can also install the modules on a car port, garage, patio cover, or on poles. A south facing roof or ground area without shading is ideal, but even west facing roofs or hillsides can work with minimal efficiency losses. 13. Will solar increase my property value? Yes. According to the Appraisers Journal of 1999, every dollar of electricity that you offset through solar increases the value of your home by twenty dollars. This means that your home would increase in value immediately by about the total net value of the electricity you produce on an annual basis. And the increased value is tax exempt. 14. Who handles the permits and rebate paperwork? All solar electric systems must be permitted through the local building department. 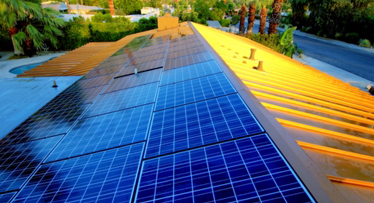 SEE Systems will handle every aspect of the installation from the filing of the rebate paperwork, to the permits, to the final inspections, and Net Metering Approval. Whether you are doing a turnkey installation with SEE Systems or an installation only project - we do it all! "Building a Better Future for the Next Generation"